"We're looking out for your smile!" The team at Dunn Family Dental Care has been providing area residents premium, gentle dental care for over 45 years. We are honored to be the dental health choice of so many families in east central Indiana and west central Ohio. 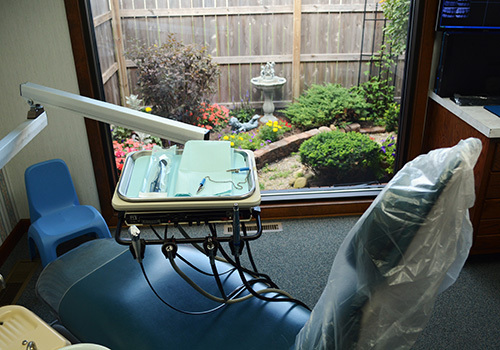 We are a dental practice that specializes in offering you the optimum blend of traditional, patient-centered care and contemporary, up-to-date procedures. Our team is dedicated to protecting and restoring the natural beauty of your smile and offering education to assist you in maintaining superior oral health for a lifetime. Dunn Family Dental Care is committed to serving you and your family in a positive and professional environment. Our highly skilled, knowledgeable and friendly staff will help you feel confident about all of your oral healthcare decisions. We invite you to be a part of our family at Dunn Family Dental Care, where, "We're looking out for your SMILE." Copyright (c) 2019 Dunn Family Dental Care All rights reserved.